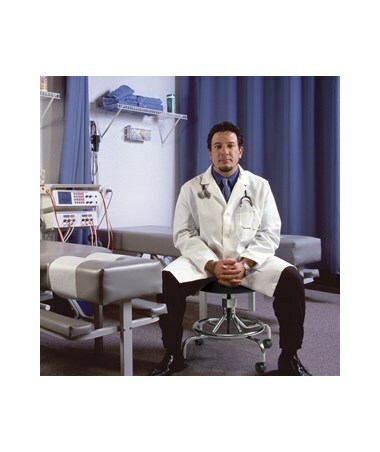 The Safco Lab Stool with Screw Lift works well in institutional, educational, and healthcare environments where space is minimal and regular maintenance are needed. It has a generously cushioned polyurethane seat that is 16 inches in diameter. It features and a 5-inch range screw height adjustment and has a weight capacity of up to 250. 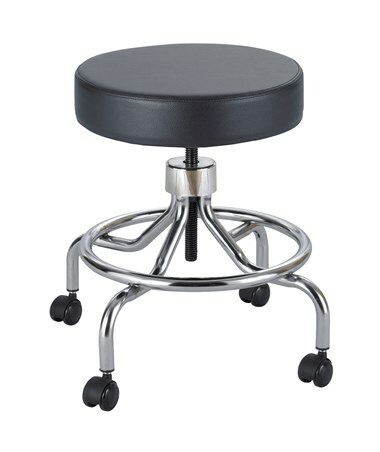 This mobile stool comes with 2-inch diameter dual wheel hooded carpet casters that swivels 360 degrees. 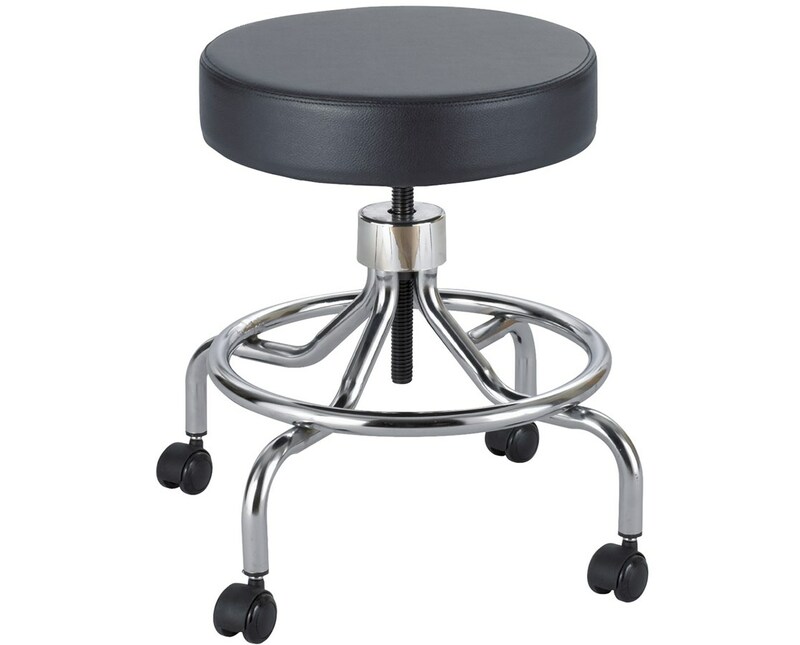 This lab stool has a base and legs made of chrome plated steel, while the seat is made of polyurethane. It meets ANSI/BIFMA industry standards and is GSA contract holder. 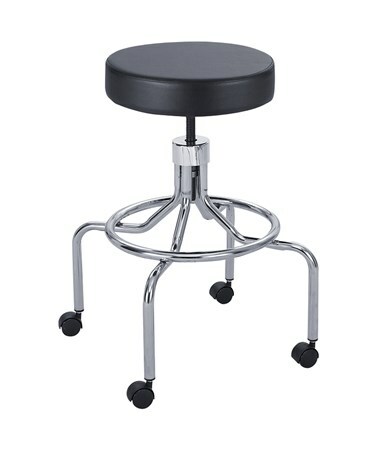 The Safco Lab Stool with Screw Lift is available in two base types. Please select your preference from the choices above. Adjustable height of 25" to 33"